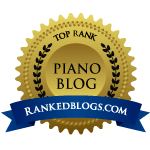 I am very grateful to all who took part in the lively discussions on the Facebook piano teachers forums, made suggestions and offered their opinions on this highly interesting and often controversial topic. Special thank you to Snake Davis (UK), Kay Alexander (Canada), Elissa Milne (Australia), Rami Bar-Niv (Israel), Tom Lydon, the editor of the Music Teacher magazine UK and Paddy Warren. Over a hundred years ago musical pioneers created a phenomenally popular musical style – jazz! Exciting, rhythmic, harmonious, colourful, toe-tapping and ear-catching, jazz had it all – and people loved it! It was a massive shaking up of the musical world. And, as well, it had something new; something that classical music had never had – it had a swing! However, this new creation had come from the poor and disinherited in the world; people who had lost much in their lives and had little; people who understood loss, disinheritance, loneliness, isolation – and for many, the associations of these people who had nothing and had lost an enormous amount (even, in the case of slaves, their freedom) meant that the normal music-loving populace could not give the new musical invention its due. Improvisation was not willingly added to the classical musical scene and it is not an element that exists in our current musical exams. But – why not? Besides watching how excited pupils become playing jazz tunes and how fast they learn to play them, would it be a stretch too far to say they would also be happy to include improvisation in their musical learning? Judging by the number of children entering the classical exams each year, it’s clear that children can be interested in whatever kind of music their teachers recommend. But, however malleable the pupils might be, teachers tend to believe that you need to be a specialist to teach jazz. They think that children who are eager to focus on it, need to learn sophisticated bass lines and intentional dissonances under the watchful eye of an expert and it isn’t considered to be something that an untutored teacher can offer – disappointing news for the average child. Of course, classically trained teachers do have the advantage that they can tell pupils how to play each piece appropriately for the chosen composition style to make sure no marks are lost, and this works well for how current exams are structured, but what about the one, very important element of jazz which is different from the elements of classical music – improvisation? Improvisation is believed to be a spontaneous moment of sudden inventiveness and, in reality, it has been around for as long as music exists. Great composers and performers of all classical styles were very good at improvising. But, somehow, it didn’t make it into the books we use today and it seems that only jazz musicians carry on the tradition. Not wanting my pupils to miss out on such an important musical experience I felt that as a modern classically trained teacher, I should be able to cross boundaries to provide a balanced education to my pupils. So I wrote and published ‘Higgledy Piggledy Jazz’ for young pianists, which, unlike normal jazzy piano books (which don’t have improvisation sections), includes elements for young pianists who have plenty of enthusiasm for improvisation. and last (but not least) let’s not forget the ‘cool factor’ – with lots and lots of fun! If you’re a classically trained teacher and you find yourself confused as to whether to introduce improvisation to your pupils or not, you could find the following improvisation exercises very useful as a start. There are both rhythm and notation exercises and you could practice them with your pupils from memory or by looking at the sheets associated in this magazine with this article. Hopefully, you’ll find the exercises logical and easy to remember – and it will be fun for both you and your pupils. Remembering that every crotchet consists of two quavers and we are getting ready to ‘swing’ them, tap the rhythm on your thighs and count aloud one and, two and, three and, four and. Get your pupil to start slowly and repeat each exercise until they are ready to move on to playing. Note that the left hand always taps crotchets. – 4th finger for F#. Transpose the exercises into any key and let your pupils use them for different pieces or just for enjoyable practice. Take a look at the sheets with the article and you’ll see that there is colour in the bass clef notes. C is in the usual black ink, but F is green and G is red. Make sure your pupils memorise this colour usage and when they’re playing, make sure they count the bars (as below). ‘Super Duck’, one of the tunes in the ‘Higgledy Piggledy Jazz’ book, is a twelve bar blues and we can use that tune to start off with. It would be most suitable for a pupil already working on Grade 1 (and above) classical piano. From bar 15 you’ll notice that your pupil has the chance to play what they’d like with their right hands – they can play it as it is or they can use that space to improvise and make it into a solo. Get your pupil to start practising by playing the entire solo, repeating one bar from the notation exercise in the right hand. When they’re feeling confident, tell them to try mixing the notation exercises up. When they’re feeling very confident and ready to go – let them use their own ideas. Tell them to remember that they are improvising and what they thought was a mistake could well be a real gem of a find! And finally, like a pro, get them to create a fantastic ending by adding pedal to the last chord and playing it on tremolo. Certainly, jazz improvisation can be a little tricky initially and not everything will come easily. But it will be invigorating and rewarding to watch your pupils turn dreams into reality. Elena Cobb is a classically trained and highly experienced pianist, teacher and composer and she believes that ’the child who is stuck in front of the music is an unhappy child’. She composed jazzy, child-orientated tunes for her piano pupils to increase their pleasure and inspire them to practise at home – and they loved them! Able to understand the issues for both child and teacher, she has created an approach which is developing children’s eye-hand co-ordination and muscular memory, eventually enabling those tasks to become easy and carried out without conscious effort. Elena’s books from the Higgledy Piggledy Jazz series for the piano with CD, alto sax with CD, classical guitar ensemble and ‘Blue River’ for aspiring pianists are popular with teachers and pupils in the UK, Canada, USA, Australia, Europe and Hong Kong. For more visit www.elenacobb.com. Next postNew year, new repertoire! Hi Elena and Frances, love this post! Improvisation is a great way to get excited about performing from the beginning isn’t it? I’ve had a lot of luck with basic rock progressions such as VI VII i in minor (eg. Ab Bb cm) played over and over. We play together and take it in turns comping and soloing. The pitch set for the solo could be as simple as 3 2 1 in minor (Eb, D, C in the key above), and it is amazing how much we can rock on. The only problem is not getting too excited and spending too much time on this! I’ve had success with students who have been learning for as little as 5 lessons with this. I love jazz, but I think for many students rock/pop styles are an even better initial entry to impro. It can be good for students to work from the familiar to the unfamiliar sometimes I think. Do you agree?